John Goodman was born in Affton, Missouri, United States, on June 20, 1952, is an American actor. 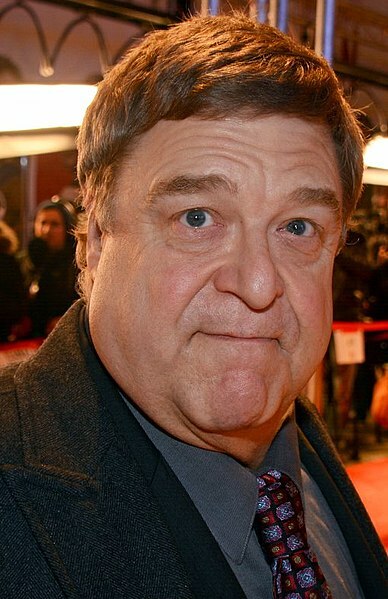 Young John Goodman began his acting career on the stage in off-Broadway and in dinner theaters. He made his big screen debut in thriller drama film Eddie Macon's Run (1983) in role as Hebert. John's breakthrough performance came as Dan Conner on television sitcom Roseanne (1988–1997), for which he won a Golden Globe Award for Best Actor (1993) and he was nominated for the Emmy Award seven times. He was awarded a Star on the Hollywood Walk of Fame at 6767 Hollywood Boulevard in 2017. He portrayed Gil John Biggs in political satire web television series Alpha House (2013–2014). He voiced James P. "Sulley" Sullivan in films Monsters, Inc. (2001) and Monsters University (2013). Fan of the St. Louis Cardinals baseball team. He likes to play golf and fishing. He married Annabeth Hartzog in 1989, they have one daughter. Lives in New Orleans, Louisiana, U.S. Doing Roseanne (1988) made me famous. To this day, people will call me "Dan Arnold". They will shout out, "Where's Roseanne?". Read, read, read, read, read. Read everything. You can’t work unless you know the world, and outside of living in the world the best way to learn about the world is to read about it. I ain't never been in no college with famous people. I was a drifter for a while. I just was desperate to fit in with a group. Really, I was swimming. I was lost, treading water, trying to find my way. I wanted to play football. It didn't work out. I didn't really know what I wanted until I found acting in a theater department, and then everything just fell into place, and I had a passion about something. Then, I started living my life. Sometimes I overtinker, which is something wrong with my brain chemistry. But in figuring out why I do that, maybe I'll make myself a better person. I doubt it.